There are already a lot of opinions on the topic of Russian corruption, and I see no pressing need to add more to that morass. I do however think it will be useful to ground the scale and trajectory of Russian corruption in quantifiable facts and statistics. The most famous subjective assessment is Transparency International’s Corruption Perceptions Index. Russia might go up and down this index across the years, as per the businesspeople and “experts” it queries, but overall it remains consistently stuck somewhere in between Honduras and Equatorial Guinea. Bearing in mind that they also believe Italy is more corrupt than Saudi Arabia – a country that is owned by its royal family even in name – one must ask to what extent this PERCEPTIONS index reflects actual corruption in any particular country, as opposed to the generosity of the expat packages it offers and its friendliness to the international business community. Is it a complete coincidence that Russia’s already low CPI score started plummeting to new depths about the exact same time it jailed Khodorkovsky? (1) CPI = Corruption Perceptions Index. (2) WBGI = World Bank Governance Indicators. 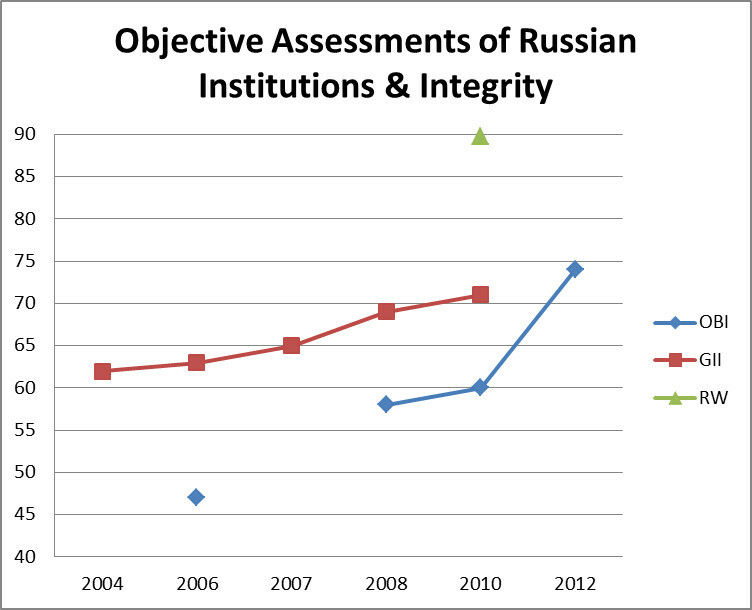 Russia does much better on assessments that include precise methodologies for calculating scores, i.e. a particular anti-corruption law either exists – or it doesn’t. On the Global Integrity Index, it scores 71/100, which is comparable to many other middle-income countries like Lithuania (74), Hungary (73), and Mexico (68). On the Open Budget Index, which measures fiscal transparency, Russia improved drastically from 47/100 in 2006 to 74/1000 by 2012, and is now ahead of all the other BRICs, all of East-Central Europe barring the Czech Republic, and even ahead of Germany. Likewise, widespread tropes of shady siloviki appropriating all the proceeds from the Russian oil industry – typically accompanied by terms such as “Muscovite patrimonialism” or “rent-seeking clans” by those seeking to project an aura of learnedness – to the contrary, Russia is second only to Brazil and Norway in the transparency of its oil and gas accounts, as measured by the Revenue Watch Index. Now all of this is not, of course, to say that the Germans steal more from their budget than the Russians; that would be ridiculous. These indices try to tally laws that promote integrity and institutional transparency, not corruption per se. It does however mean that Russia releases more information about its budget than a wide array of other middle-income and even developed countries, which – all else being equal – should make any thefts and shady dealings easier to detect. For instance, Navalny’s work to expose corrupt state tenders is hailed in the press – and rightly so! – but had not the kleptocratic Kremlin made those tenders publicly accessible on the Internet, his activities wouldn’t have even been possible in the first place! If Russia truly were the “mafia state” it is frequently painted as by the Western chattering classes, why on earth would it want to shine more light onto its own rotten essence by steadily increasing its integrity and transparency indicators? (1) OBI = Open Budget Indicators. (2) GII = Global Integrity Index. (3) RW = Revenue Watch Index. 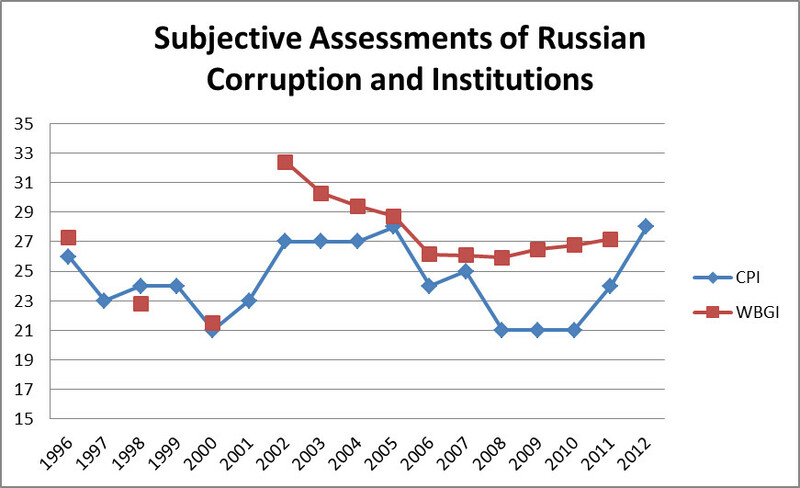 The final method of measuring corruption is both the most direct and democratic – asking ordinary Russians how often they experience it in their everyday lives, as opposed to the musings of ivory tower “experts” and limousine expats. Unfortunately, opinion polls on the matter – most of which come from Transparency International’s Global Corruption Barometer, the Levada Center, and FOM (The Foundation for Public Opinion) – are too irregular and differently worded to confidently discern any decadal trend. 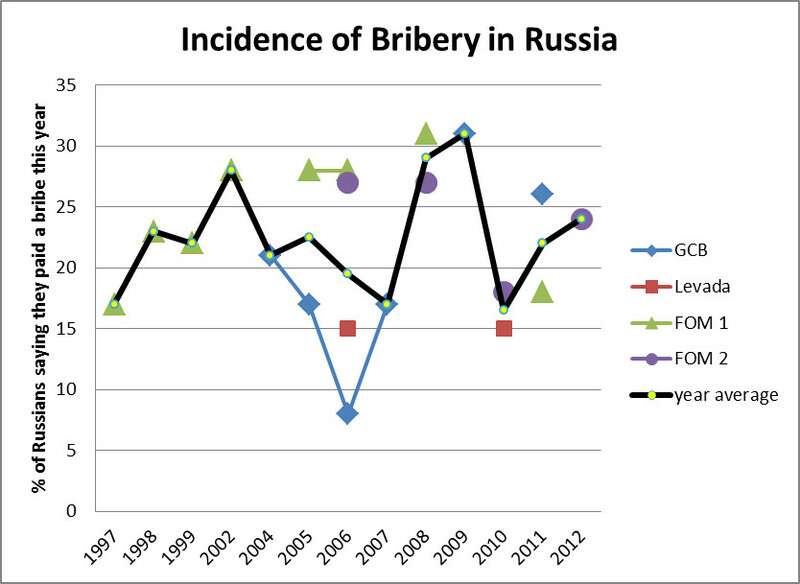 On average, as we can see from the graph below, about 20%-25% of Russians tend to say they or their families have experienced corruption in the past year or two. In the most comprehensive international survey, that of Transparency International’s Global Corruption Barometer, some 26% of Russians said they or a member of their household paid a bribe in the past year. This is directly analogous to countries like Hungary (24%), Romania (31%), and Mexico (33%) – and not far below the worst-performing “old European” country, Greece (18%). This is, of course, nothing to write home about; but neither is this comparable to India (54%), let alone aforementioned Honduras or Equatorial Guinea. 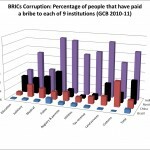 Bear this in mind the next time you read some opinion columnist pontificating about Russia as “Zaire with permafrost” or “Nigeria with snow” (for the record, more than 60% of the respondents from those two countries said they or a member of their household paid a bribe in the past year). If ordinary corruption is difficult to quantify, it is doubly so for elite corruption. And rumors about Putin’s $40 billion dollar Swiss bank accounts – especially if they are sourced from his political opponents like Stanislav Belkovsky and Boris Nemtsov – aren’t going to get us very far. We need concrete sums and figures – say, the total of $100 million or so that appears to have been stolen in the recent Oboronservis scandals. This is an order of magnitude or so higher than the largest corruption scandals in developed Western countries, but on the other hand, it’s unfortunately quite typical of major corruption scandals in places like China, India, and Latin America. (The overall sums are smaller in truly deprived regions of the world because there is far less to steal in the first place). As for Vlad Sobell’s question of whether corruption in Russia can ever become “the exception rather than the rule”… Well, where precisely is this threshold? Corruption is part of a continuum, not a set of discrete states. I will venture to say that with the correct incentives and cultural propaganda, it is certainly plausible for Russia to reduce its levels of corruption from the levels of Romania or Mexico today… to the somewhat better levels of Italy or Poland. I do not know if improvements beyond that are possible. 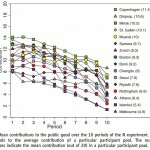 Whether it was due to Protestantism, or the out-breeding fertility patterns specific to family life within the Hajnal Line (which according to some theories promoted altruism), the peoples of north-west Europe seem to have reached a level of very low corruption that has been equaled by very few other societies. In Russia’s case, just converging with Mediterranean and Visegrad corruption norms would be an adequate achievement.